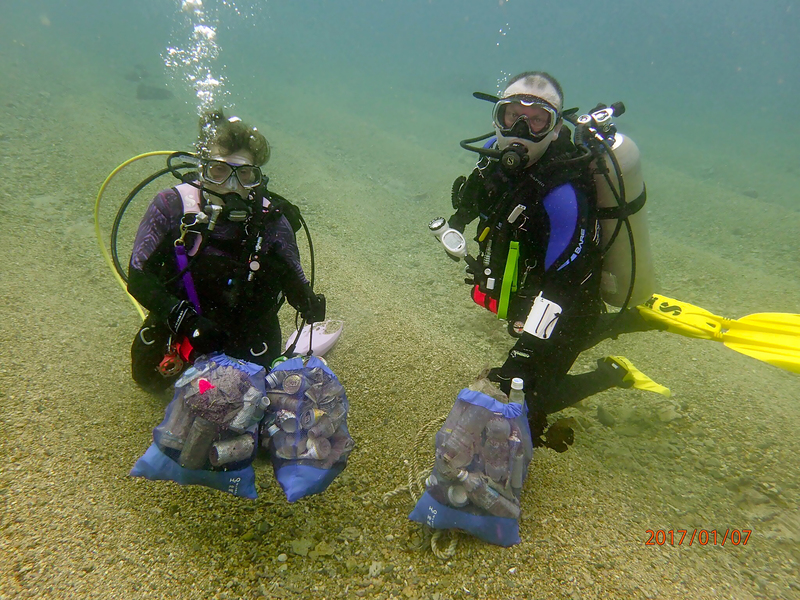 I decided to host my first Project AWARE “Dive Against Debris” event here on Okinawa at the turn of the New Year, and I must say, it was a smashing success! 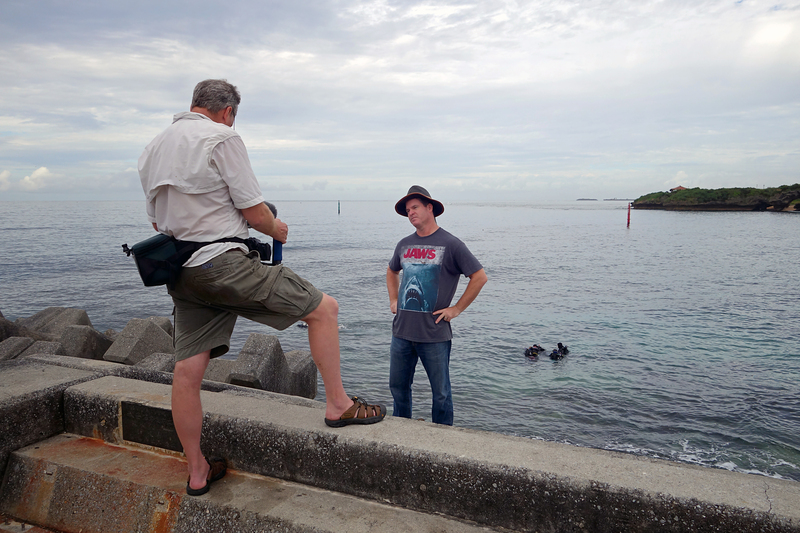 At a local dive site called “Kadena North Steps,” almost 40 scuba divers were successful is removing 198 pounds of submerged debris from the ocean, amounting to over 635 separate pieces of trash polluting our coastal underwater environment. 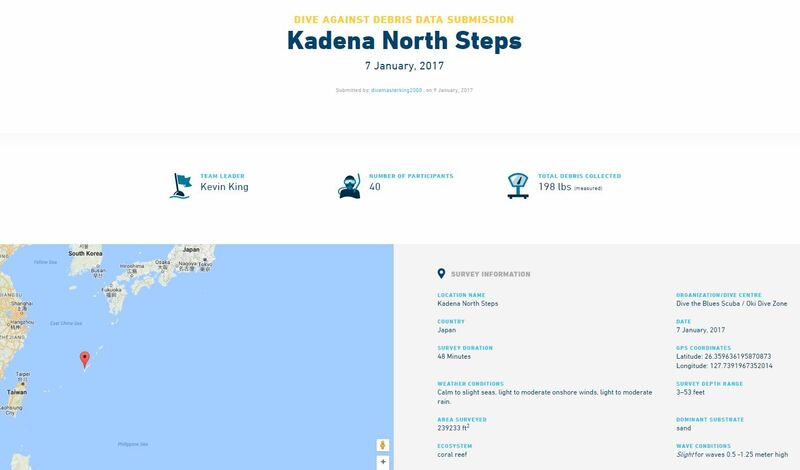 Check out our full Kadena North Steps report here. A big shout-out to all those who came out in support of this worthy effort! 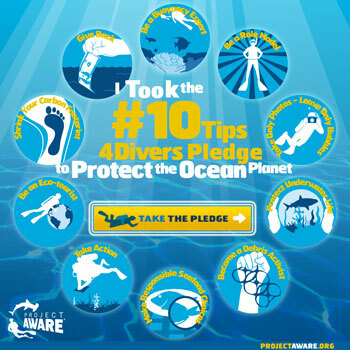 If you are not aware, our oceans are under siege. 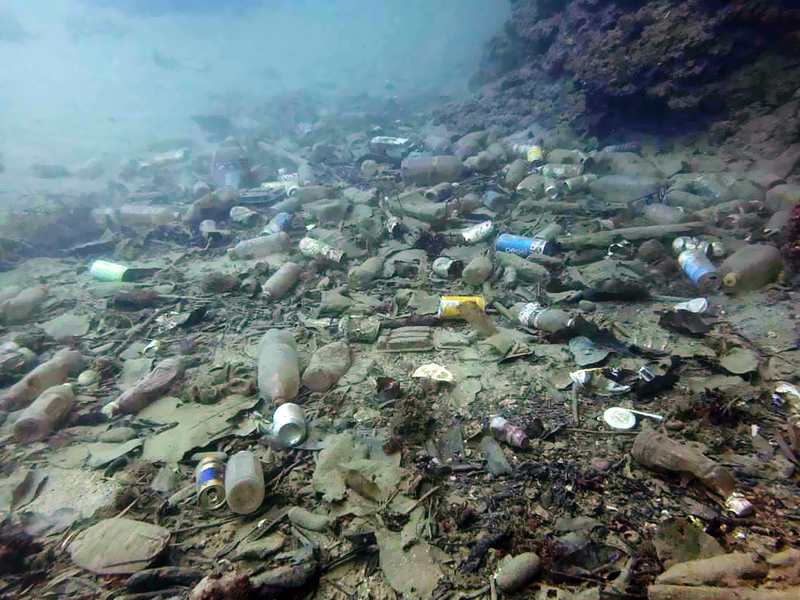 More than 250 MILLION tons of plastic is estimated to make its way into our ocean by 2025. 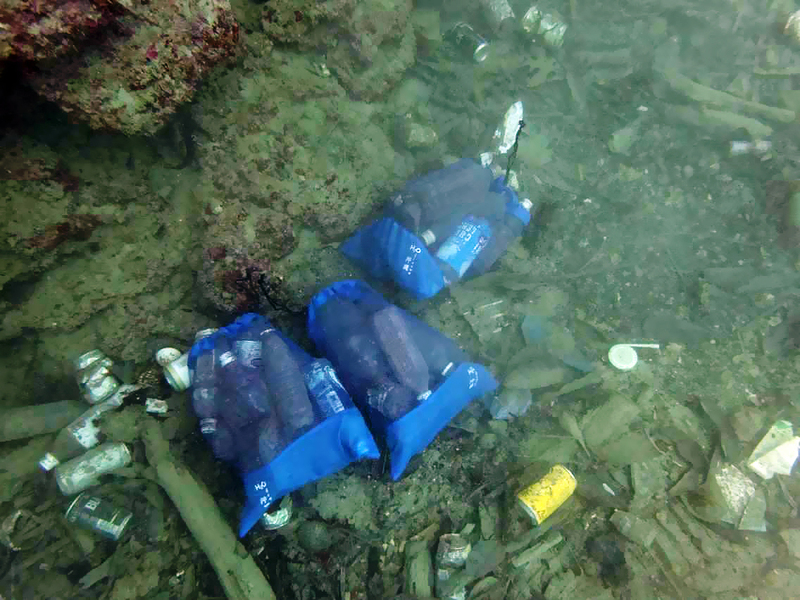 Our everyday trash is entering the seas at an alarming rate, and it has created a clear and present danger to the ocean’s ecosystems. 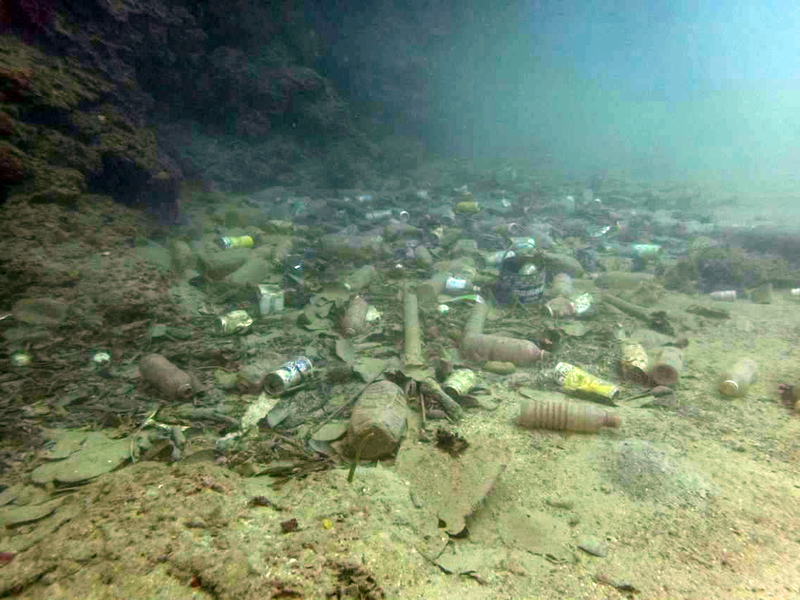 But a global community of proactive divers is beginning to fight back against this onslaught. And I decided to become more an active part of the solution than a passive participant in creating the problem. What is amazing is that all it takes to create grass-roots activism is to provide just the seed, although with creating an environment where that seed can germinate and take root. What do I mean? 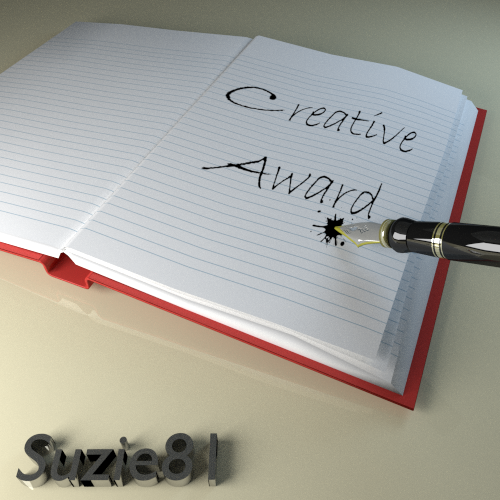 Make it “an event.” Advertise. Provide collection bags. 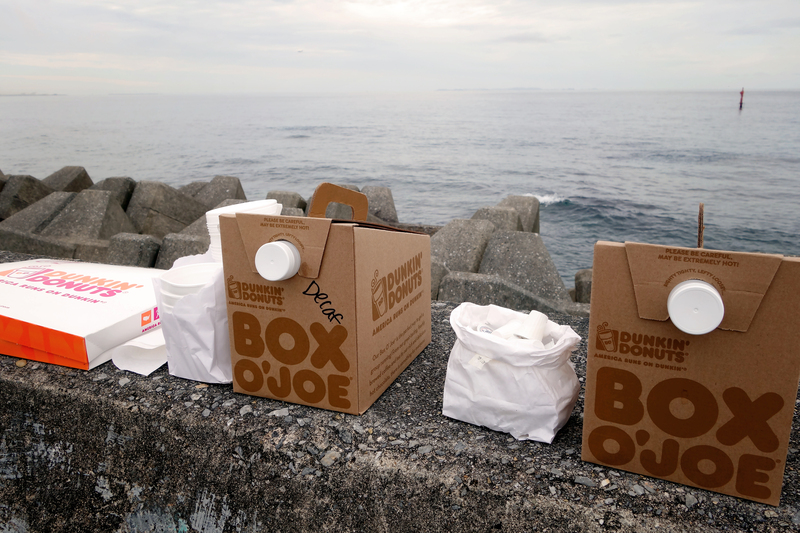 Offer donuts and coffee! 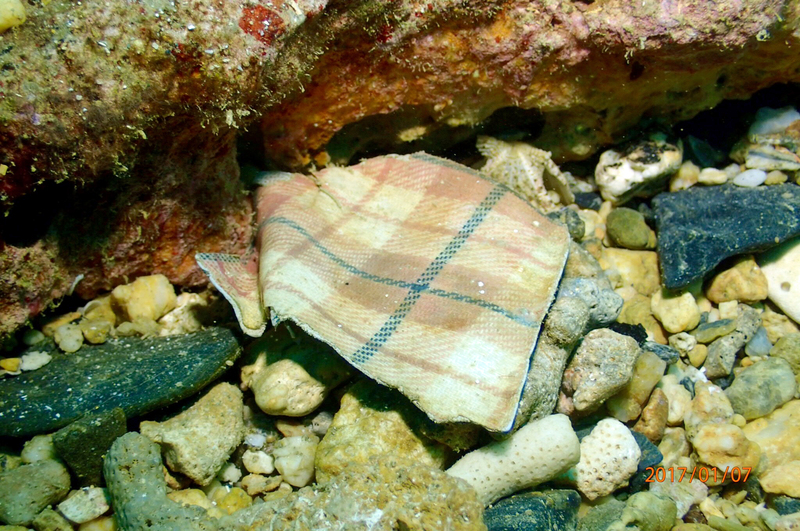 And take care of the debris after the divers have removed it…. Real and sustainable global change is only empowered through such grassroots action. 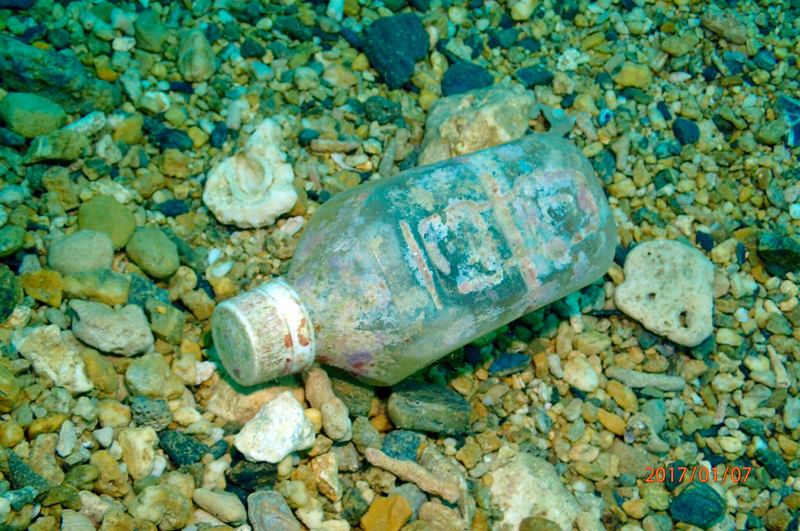 Marine debris is, simply put, deadly to marine life, often hazardous to human health, and costly to our economies. Animals, especially marine mammals, become entangled in debris and even mistake it for food – both often with fatal results. Toxins can enter our food chains, resulting in sickness for an individual, and detrimental depressions in local and national markets. 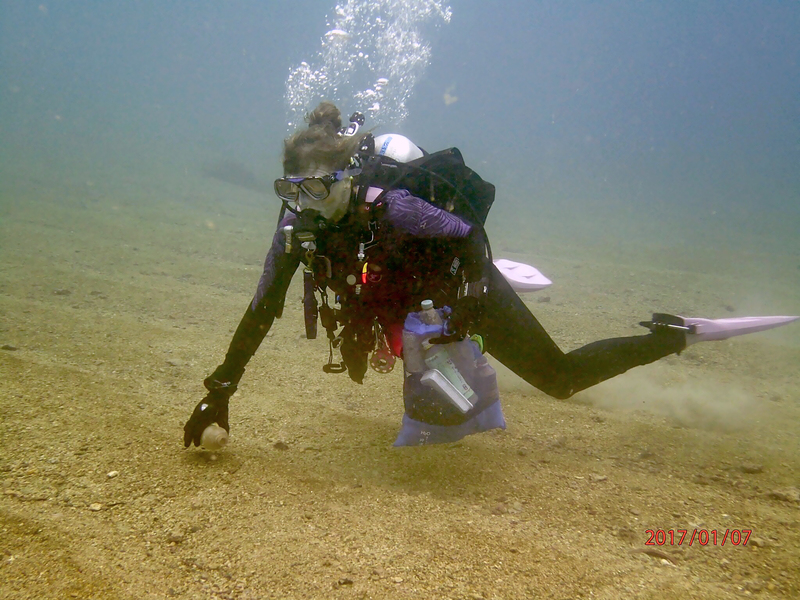 The event I hosted was a formal Project AWARE “Dive Against Debris” (DAD) survey. That means we not just collected trash, but weighed, categorized, and reported the data to a global database. 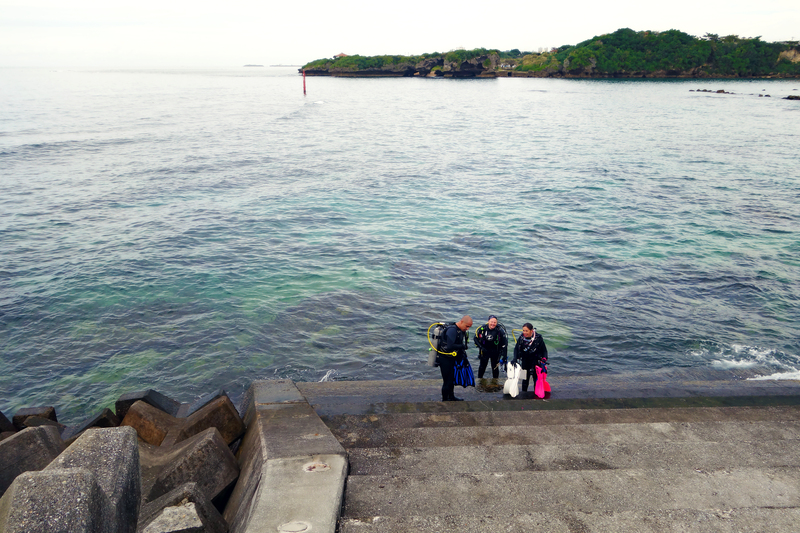 I also offered training and certification, for those divers so interested, In PADI’s “Dive Against Debris Diver” specialty. 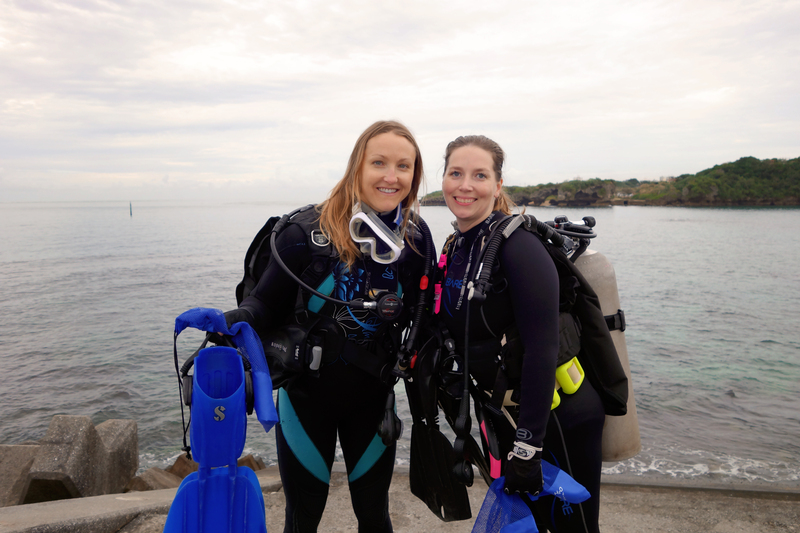 Eleven divers completed this course of education and training that morning! 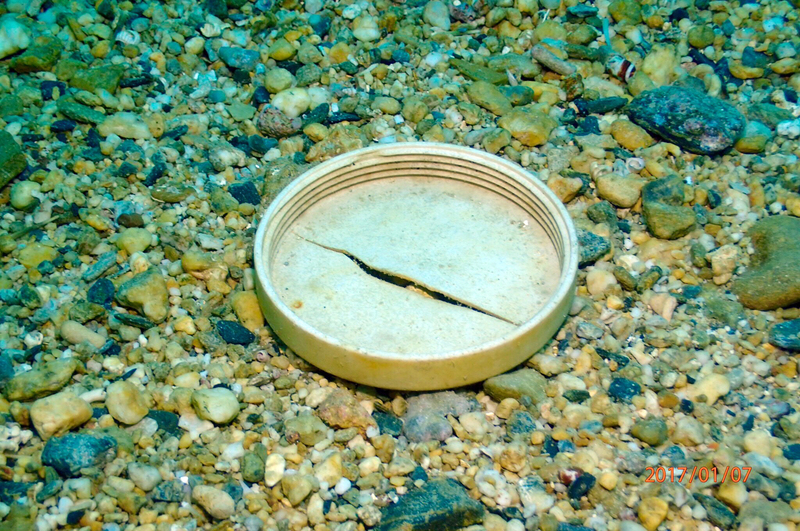 Dive Against Debris® is Project AWARE’s flagship citizen-science program. 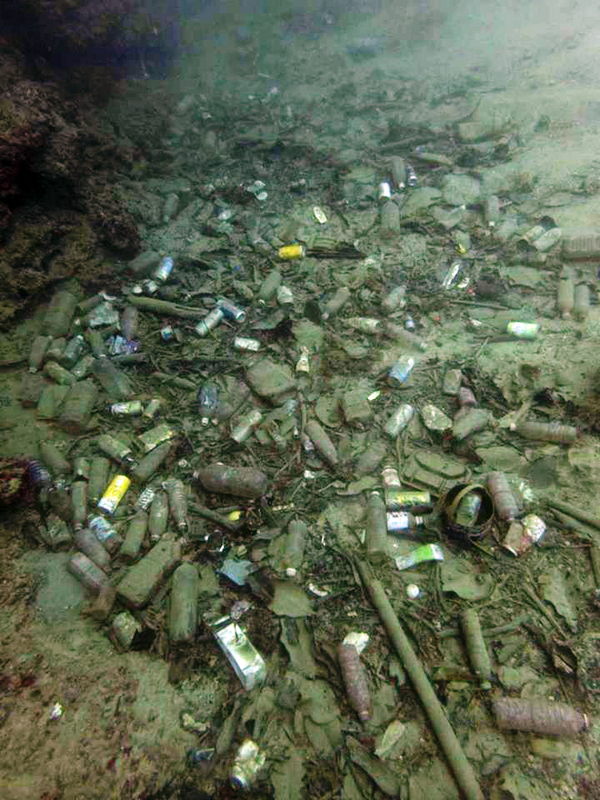 DAD is the first and only marine debris survey of its kind which utilizes scuba divers to report types and quantities of debris found on the ocean floor. 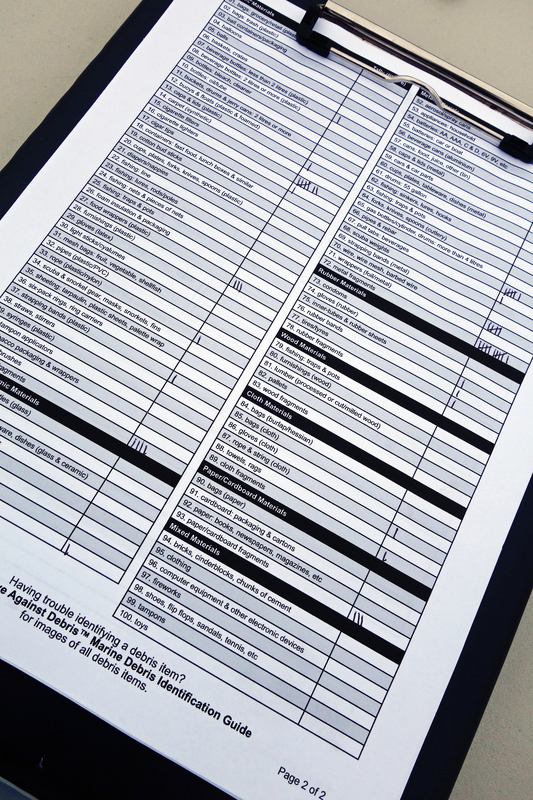 If you’re a certified diver, you can collect and report important data while removing marine debris during your dive. 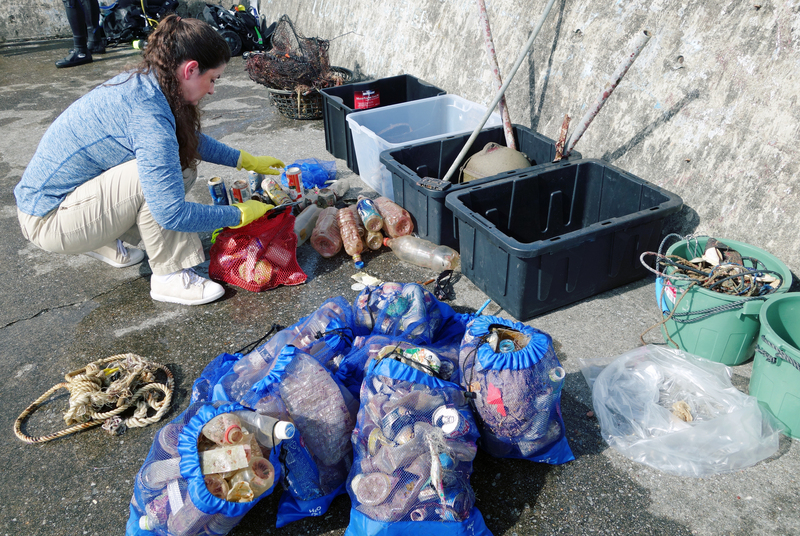 With your help, Project AWARE can use the information you report to convince individuals, governments and businesses to act against marine debris. However, Project AWARE goes even further. 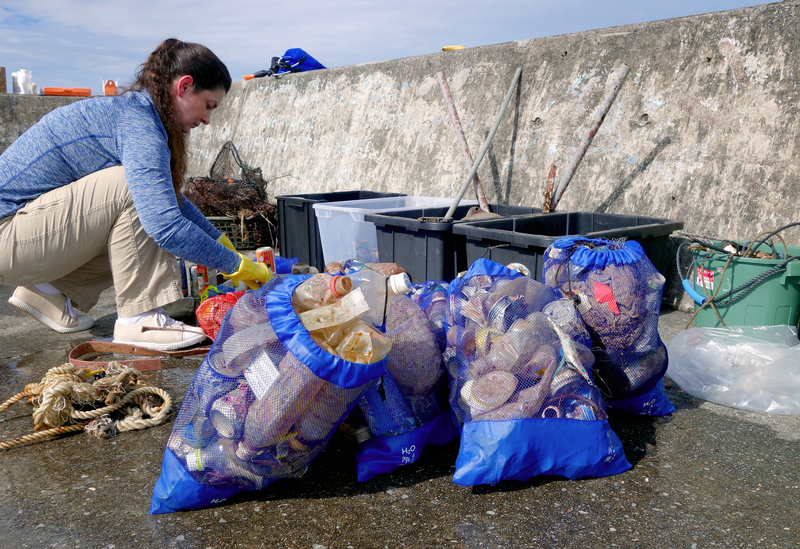 Not only does the organization work to reduce underwater impacts of marine debris, but to prevent trash from entering the ocean in the first place. Through “Partnerships Against Trash,” Project AWARE works with businesses, NGOs and governments to advocate for long-term solutions and influence waste management policies at local, national and international levels. Since my experience running this event was so positive and down-right run, I have decided to take my activism to the next level. 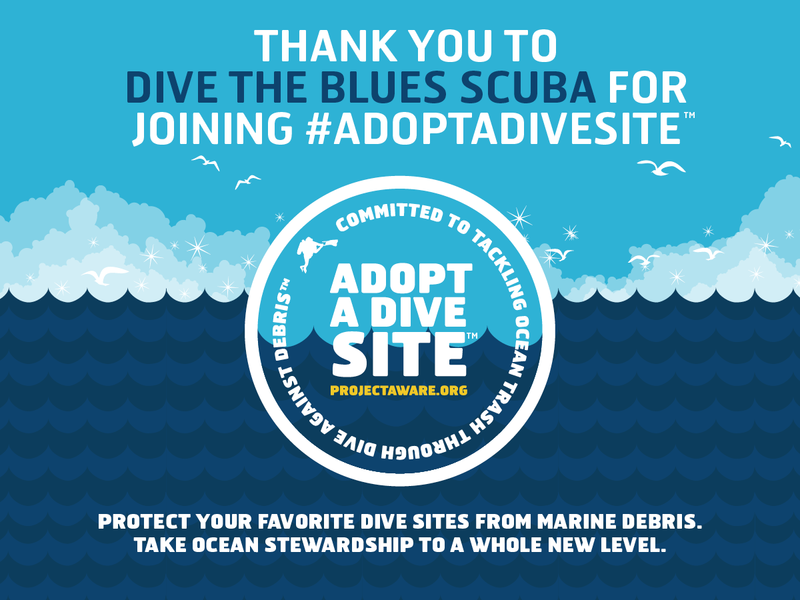 Ultimately, the most dedicated Dive Against Debris leaders across the globe are increasing commitments to the fight against ocean trash through another program called “Adopt a Dive Site™” (ADS). 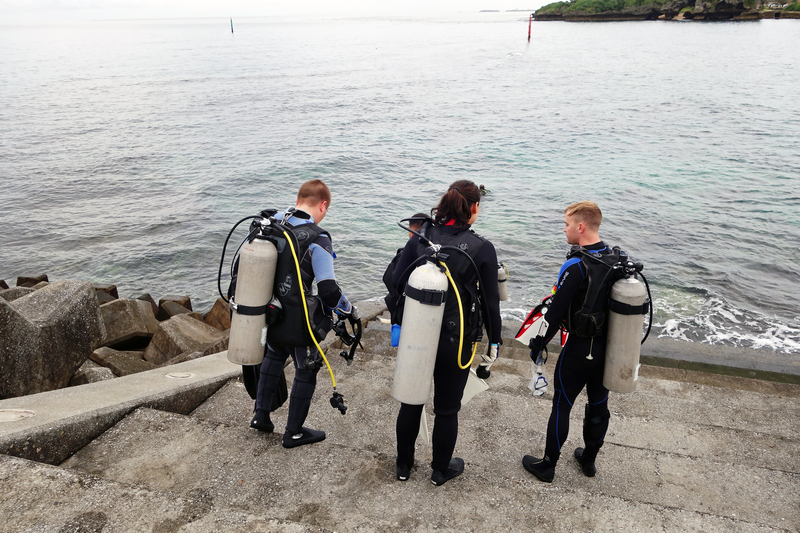 Leveraging enthusiastic dive instructors, and concerned dive centers and resorts, ADS ensures ongoing local protection and monitoring of our underwater playgrounds. My dive business Dive the Blues Scuba and I have adopted Kadena North as “my” dive site to care for. This means I have committed to executing monthly Dive Against Debris surveys and then reporting types and quantities of trash found underwater each month from that same location. 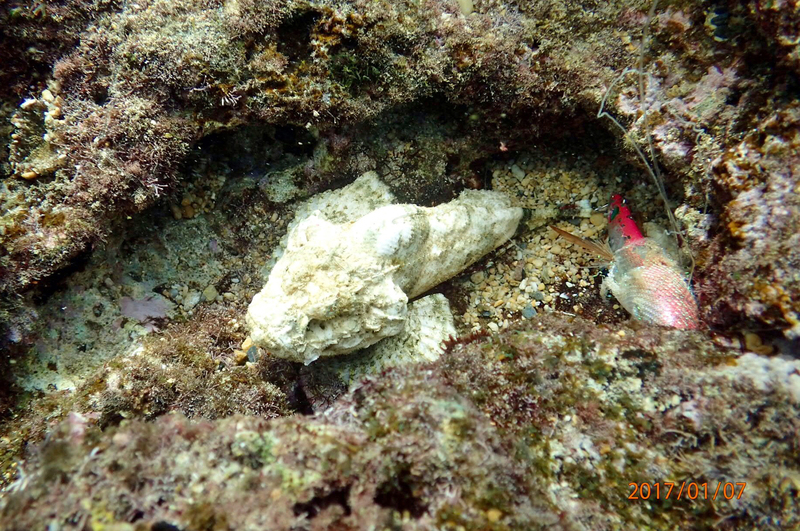 To support this effort, Project AWARE will be supplying some additional survey tools, and will provide a yearly report on the state of my local dive site. ADS is focused on removing debris on a sustained basis to ultimately improve the health of local ecosystems. 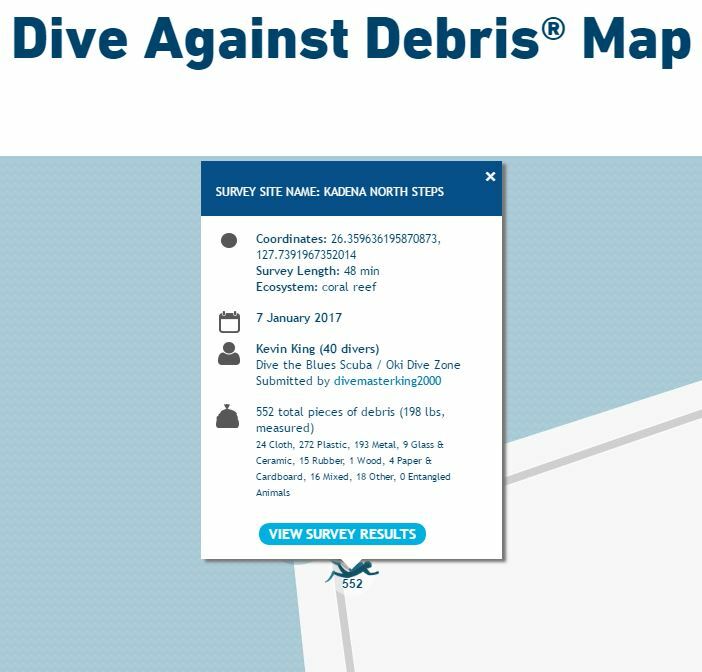 You can view “My Ocean Profile” at Project AWARE to see these local actions, and see the details of my first Dive Against Debris survey. Finally, you can see my first Adopt a Dive Site event where you can determine if you too want to come out and become an active part of the solution, rather than be a passive part of the problem. 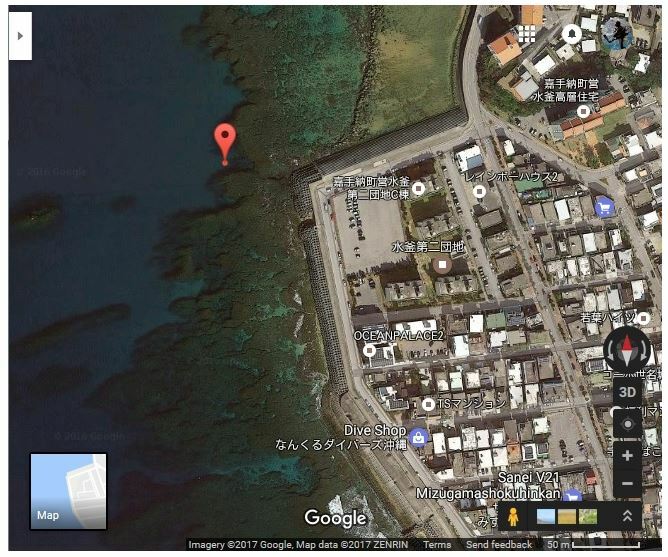 And don’t forget to come out and support my February 2017 Dive Against Debris survey this President’s day, February 20th, starting at 0900 local at Kadena North Steps. Together, we can work toward a cleaner, healthier ocean planet. One dive at a time. And ultimately, we as a global nation of divers will be judged all the greater for it. 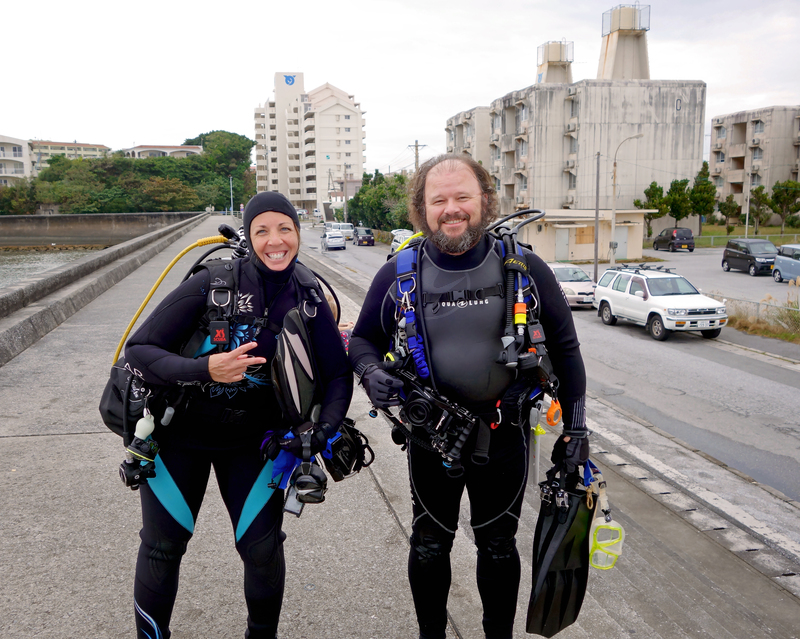 This entry was posted in dive against debris, Far Eastern Scuba Diving, Okinawa Living and tagged activism, AWARE, cleanup, DAD, dive against debris, japan, litter, Okinawa, PADI, pollution, project AWARE, Scuba diving, trash. Bookmark the permalink. I think you are doing a great service to the fish and mammals living in the ocean waters. When you come home and are closer perhaps I can come and help separate the trash you collect from under the water. Deal Bev! 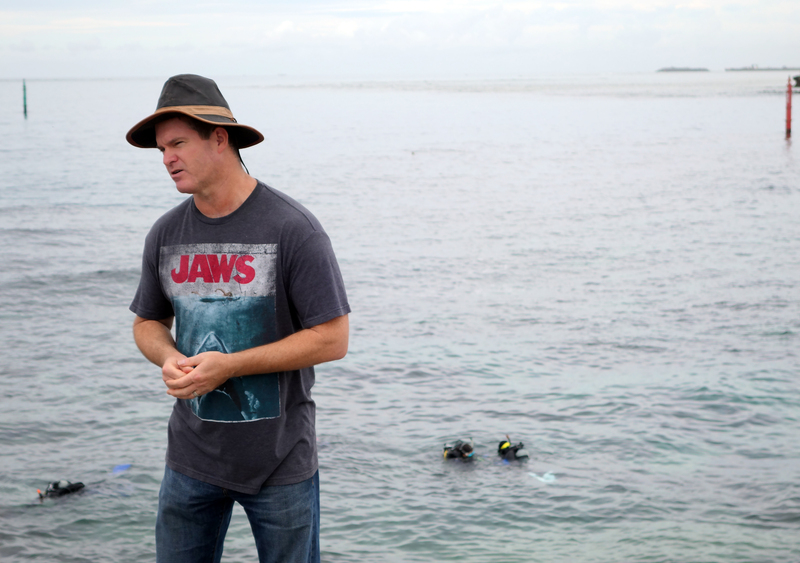 Wherever Jody and I wind up, there will always be an ocean to explore and keep clean. We also due a concurrent beach cleanup for nondivers. Thanks for the Far East flyby, Bev! !